In this clear cache and cookies on Microsoft Edge guide, you are going find out a simple (recommended) method of wiping out cache and cookies from the Edge browser if websites aren’t loading or running slowly on your Windows 10 device. Cleaning cache and cookies from Microsoft Edge browser also solves issues with signing into online services with your Microsoft account. It’s common on web browser to collect cache and cookies from the webpages you visit on them. This allows the browser app to lead those pages faster the next time you visit them. Microsoft Edge for Windows 10 is not different in this regard. When you go to a certain website, the web browser download and caches files, images, and saves cookies (small files with data related to the specific site) every time you visit that webpage in order to provide better browsing experience when you visit that page again. However, there comes a time when these cache files and cookies get too many for the browser to handle. When that happens, all accumulated cookies and cache files get clogged up in the browser app, which not only consumes hard disk space but could also slow down browser, even causing some sites to crash unexpectedly. 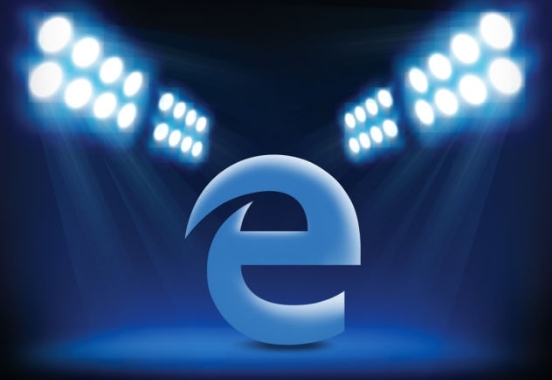 Microsoft Edge users have been complaining that these cookies and cache data starts causing issues over time that hamper normal functioning of webpages on Microsoft Edge. This problem becomes even more apparent when the website you visit gets updated but it appears unseemly since the update. This occurs because Microsoft Edge tries to load the regularly visited site from the cache data related to the webpage version prior to the update. You can easily fix this by clearing data cache and cookies on Microsoft Edge. See the steps below to properly perform cookie and cache cleaning steps. 1 – Open Microsoft Edge browser app on Windows 10 device. 2 – Click on the More (three-dotted) button on the top-right corner of the browser window. 3 – Hit Settings option. 4 – Now, under the Clear browsing data and click on Choose what to clear button. 5 – Next, select whatever you wish to clear. But for this guide, our concern is only with Cookies and saved website data and Cache data and files options. Check them and hit Clear button. You will now be able to run webpages correctly on Microsoft Edge. Websites should load faster and run smoothly from now on. But since you cleared up all cookies, you may be asked to sign-in again for online services and forms. There is also an option to set the Edge browser to automatically cleaning browser data at exit, so that you don’t have to perform the process above every time this issue surfaces. For that, go to Microsoft Edge settings and select Always clear this when i close the browser option.